In the second quarter of 2015, the German Bronchiectasis Registry PROGNOSIS (The Prospective German Non-CF Bronchiectasis Registry) started recruiting the first patients. Adult patients with bronchiectasis not caused by cystic fibrosis (CF) have been included in the registry. By the end of 2016, already more than 600 patients had been recruited. 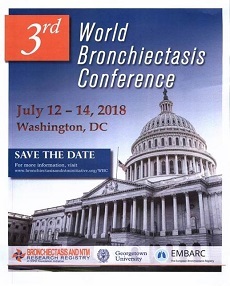 • supporting the establishment of a translational research network for non-CF bronchiectasis in Germany and Europe.